The private pilot departed in his float-equipped, experimental, amateur-built airplane during day visual meteorological conditions. According to a friend of the pilot, the purpose of the flight was to fly over a proposed hunting site and then return. About 90 minutes later, multiple witnesses saw the airplane complete two, low-level, high-speed, 360° right turns over a residential neighborhood. The witnesses said that the airplane's first 360° turn was accomplished at an altitude between 150 and 200 ft above ground level, but the second turn was much lower. Witnesses near the accident site reported that, as the airplane completed the second, steep, 360° turn, the nose of the airplane pitched down, and the airplane began a rapid nose-down descent. The engine rpm then increased significantly, and the wings rolled level just before the airplane impacted a stand of tall trees adjacent to a home. The airplane subsequently descended onto a neighborhood road and came to rest inverted. A postcrash fire ensued about 30 seconds after impact, which quickly engulfed the entire airplane. According family members and close friends, this was highly unusual behavior for this pilot. Postaccident examination of the airplane's exhaust system revealed that the muffler can assembly was cracked around most of its circumference near the inlet portion of the muffler, which would have allowed exhaust gases to enter the cockpit/cabin. Toxicology tests revealed 48% carboxyhemoglobin (carbon monoxide) in the pilot's blood. The pilot was a nonsmoker, and nonsmokers normally have no more than 3% carboxyhemoglobin. 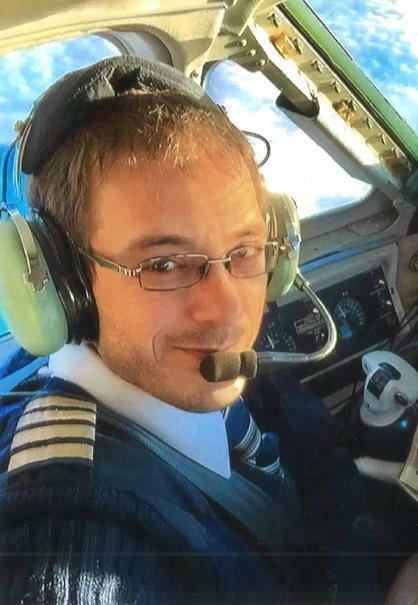 The pilot's cause of death was extensive blunt force trauma including lacerations of the aorta, heart, and liver, and there was no soot found in his trachea. Although there was a postimpact fire, given the extensive blunt force injuries the pilot sustained and the lack of soot in his trachea, it is likely that the pilot's elevated carboxyhemoglobin level was from acute exposure to carbon monoxide during the 90-minute flight and not from postimpact fire. Carboxyhemoglobin levels between 10% and 20% can result in confusion, impaired judgment, and difficulty concentrating, and the pilot's 48% carboxyhemoglobin level likely resulted in severe impairment. No aircraft maintenance records were located for the airplane, which the pilot had built in 1996, so it is unknown when the muffler was last inspected or maintained. Additionally, due to the extensive postimpact fire, it was not possible to determine if the airplane was equipped with any type of carbon monoxide detection equipment. According to friends of the pilot, he conducted all maintenance on the airplane. The pilot's severe impairment from carbon monoxide poisoning in flight, which resulted in a loss of control and a subsequent collision with trees and terrain. James "Curt" Hefty, 75, of Anchorage, Alaska, passed away on September 10th, 2016, while doing one of the things he loved most in the world: flying. 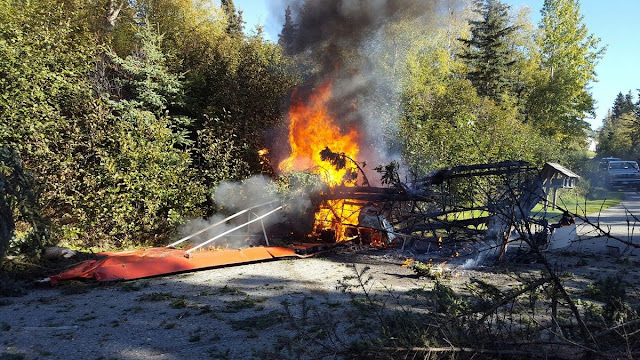 On September 10, 2016, about 1630 Alaska daylight time, a float-equipped, experimental amateur-built, Hefty Polar Cub airplane, N62905, was destroyed following a loss of control and subsequent impact with tree-covered terrain in a residential neighborhood in Anchorage, Alaska. The private pilot, the sole occupant, was fatally injured. The airplane was registered to and operated by the pilot as a personal local flight under the provisions of 14 Code of Federal Regulations Part 91. Visual meteorological conditions prevailed, and no flight plan was filed. The flight reportedly originated in southwest Anchorage from Jewell Lake about 1500, but the actual departure time and flight route are unknown. 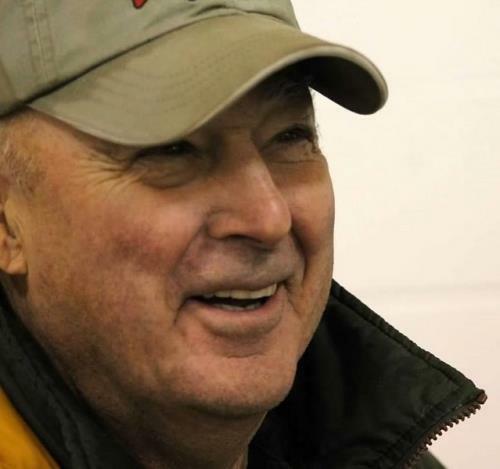 According to family and friends of the pilot, the purpose of the flight was to fly over a proposed hunting site near Willow, Alaska, and then return to Anchorage. The friend related that the pilot and a group of friends were planning a fly-in hunt later in the week. During on-scene interviews conducted by the National Transportation Safety Board (NTSB) investigator-in-charge (IIC) on the day of the accident, multiple witnesses consistently reported that they observed the airplane complete two, low-level, high-speed, 360° right turns over a residential neighborhood. The witnesses said that the airplane's first 360° turn was accomplished at an altitude between 150 and 200 ft above ground level, but the second turn was much lower. One homeowner stated that, as the airplane passed over his home, it was about 50 ft above his roofline. The witnesses also reported that the airplane's bank angle increased significantly on the second 360° right turn. One pilot-rated witness estimated that the airplane's bank angle was in excess of 60° during the second 360° turn. Multiple witnesses reported hearing the airplane's engine operating in a manner consistent with high power settings throughout both 360° turns. Witnesses near the accident site reported that, as the airplane completed the second, steep, 360° right turn, the nose of the airplane pitched down, and it began a rapid nose-down descent. The engine rpm then increased significantly, and the wings rolled level just before the airplane impacted a stand of tall trees adjacent to a home. During the collision sequence, the airplane's floats were severed, and the airplane subsequently descended onto a neighborhood road, coming to rest inverted. A postimpact fire ensued about 30 seconds after impact, which quickly engulfed the entire airplane. During a brief on scene interview with the NTSB IIC, a family member, along with a friend of the pilot, both reported that it was highly unusual and uncharacteristic behavior for the pilot to be flying as witnesses described. The pilot, age 75, held a private pilot certificate with an airplane single-engine land rating; he did not hold a single-engine sea rating. In addition, he held a Federal Aviation Administration (FAA) repairman certificate specifically for the accident airplane. The pilot's most recent third-class, special issuance medical certificate, was issued on May 23, 2007, and contained the limitation: "Not valid for any class after May 31, 2008." On the pilot's application for medical certificate, dated May 23, 2007, he indicated that his total aeronautical experience was about 2,200 flight hours. No personal flight records were located for the pilot. The airplane, which bears a resemblance to a Piper PA-11, had a rectangular, welded steel-tube structure that was covered with fabric. The wings, rudder, and horizontal stabilizer were all fabric covered. At the time of the accident, the airplane was equipped with a set of EDO 2000-series floats. According to archived documents on file with the FAA certification office located in Oklahoma City, the airplane was built by the pilot from a set of purchased plans and was issued an FAA experimental airworthiness certificate with operating limitations on May 22, 1996. At the time the airworthiness certificate was issued, the airplane was equipped with a Continental Motors C-90-12-F engine. At the time of the accident, the airplane was equipped with a Lycoming O-320-A2A engine, serial number L-9126-27, and a Catto composite propeller. No installation documentation for either the engine or propeller was located. No aircraft maintenance records were located for the accident airplane. According to family members of the pilot, the airframe and engine logbooks were likely on board the airplane at the time of the accident. According to a family friend, the accident pilot performed all of the maintenance on the accident airplane. The closest official weather observation station to the accident site was located at the Ted Stevens Anchorage International Airport, about 10 miles to the east. On September 10, 2016, at 1553, the station was reporting, in part: wind 230° at 4 knots; visibility 10 statute miles; ceiling and clouds, few at 2,500 ft; temperature 63° F; dew point 43° F; altimeter 30.14 inches of mercury. 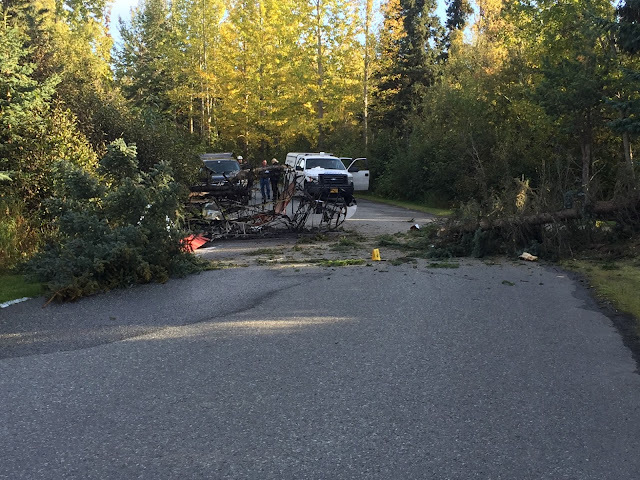 Responding fire department and police personnel reported that, upon arrival, they discovered the inverted and burning wreckage on a neighborhood road, which was surrounded by tall trees. All of the airplane's major components were found at the main wreckage site. The airplane's longitudinal axis was oriented on a heading of 035° magnetic. Flight control continuity was established from the respective flight controls to the cabin area. The airplane's first impact point was a stand of tall spruce trees about 120 ft from the wreckage point of rest. 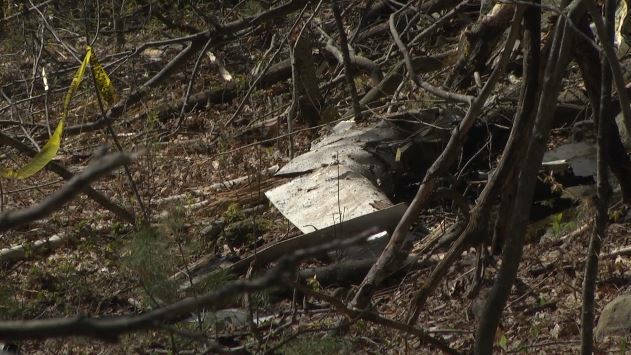 Broken tree branches and small portions of aircraft fabric that remained in the treetops marked the area. The next impact point was a second stand of tall trees about 100 ft from the wreckage point of rest. The airplane's two EDO 2000-series floats were found entangled and suspended in the stand of tall trees. The right wing was displaced slightly aft of its normal orientation to the fuselage, and the fabric on the underside of the wing was burned away. The aileron and flap remained attached to the wing, and the right flap appeared to be up. The leading edge of the right wing was slightly crushed and flattened in an aft direction, from about midspan to the wingtip. The inboard end of the wing and the right fuel tank were fire damaged. The left wing was displaced aft about 45° from its normal orientation to the fuselage, and most of the fabric had burned away. The aileron and flap remained attached to the wing, and the left flap appeared to be up. The leading edge at the outboard end of the wing was flattened and crushed aft, with downward curling of the wingtip. The inboard end of the wing was extensively fire damaged, and the left fuel tank was incinerated. The entire cockpit, baggage area, and fuselage extending to the vertical stabilizer were consumed by fire. Both wing lift struts remained attached to their respective wing and fuselage attach points. The propeller hub assembly remained connected to the engine crankshaft, but the composite propeller blades were obliterated due to impact damage. The engine had impact and fire damage to the underside and front portion. Continuity of the drive train was established at the tachometer drive fitting on the accessory case when the propeller hub was moved by hand. The engine's four sparks plugs were examined and were dry with no unusual combustion signatures. The carburetor received impact damage. The engine control cables were either attached, or broken, at their respective carburetor control arms. A postmortem examination of the pilot was conducted under the authority of the Alaska State Medical Examiner, Anchorage, Alaska. The cause of death for the pilot was attributed to blunt force injuries. The autopsy also identified extensive lacerations of the aorta, heart, and liver. There was no soot identified in the tracheobronchial tree. The FAA Bioaeronautical Sciences Research Laboratory performed toxicological examinations, which revealed 48% carboxyhemoglobin (carbon monoxide) in the pilot's blood. Additionally, amlodipine, metoprolol, naproxen, and rosuvastatin were detected in the pilot's blood and urine. Carbon monoxide is an odorless, tasteless, colorless, nonirritating gas formed by hydrocarbon combustion. Carbon monoxide binds to hemoglobin with much greater affinity than oxygen, forming carboxyhemoglobin; elevated levels result in impaired oxygen transport and utilization. Early symptoms of carbon monoxide exposure may include headache, malaise, nausea, and dizziness. Carboxyhemoglobin levels between 10% and 20% can result in confusion, impaired judgment, and difficulty concentrating. Nonsmokers may normally have up to 3% carboxyhemoglobin in their blood; heavy smokers may have levels of 10% to 15%. Family members and friends reported that the pilot was a nonsmoker. Amlodipine is a prescription blood pressure medication also called Norvasc. Metoprolol is a beta blocking prescription medication, often called Lopressor or Toprol, that is used to treat high blood pressure and to prevent heart attacks in patients with coronary artery disease. Naproxen in an anti-inflammatory analgesic available over the counter with a variety of names, including Aleve. Rosuvastatin is a prescription medication to treat high cholesterol and is commonly marketed with the name Crestor. None of these medications adversely affect performance. According to the NTSB chief medical officer's review of the pilot's autopsy and medical records obtained from the Veteran's Administration Hospital, Joint Base Elmendorf-Richardson, Anchorage, he had a history of hypertension, high cholesterol, coronary artery disease, and bladder neck obstruction. A copy of the NTSB' chief medical officer's factual report is available in the public docket for this accident. On December 2, 2016, after being notified by the FAA's Bioaeronautical Sciences Research Laboratory of the elevated level of carboxyhemoglobin in the pilot's blood, the NTSB IIC recovered the accident airplane's exhaust system for a detailed examination. The airplane's exhaust system consisted of a muffler covered by an exterior shroud assembly that provided ducted heat to the airplane's cockpit, cabin, and engine carburetor heat system. During the exhaust system examination, the NTSB IIC peeled open the shroud assembly, which revealed a severely degraded and damaged muffler can assembly. The muffler can was cracked around most of its circumference near the inlet portion of the muffler. The entire muffler assembly was then sent to the NTSB's Materials Laboratory for further examination. The examination revealed that portions of the muffler can material were missing and that areas adjacent to the missing material had white, oxidized exhaust deposits. Cracks and corrosion on the interior surface of the exterior shroud in an area under a riveted doubler were also seen. A copy of the NTSB's Materials Laboratory Factual Report is included in the public docket for this accident. FAA Advisory Circular (AC) 91-59A, "Inspection and Care of General Aviation Aircraft Exhaust Systems," emphasizes the safety hazards of poorly maintained aircraft exhaust systems and highlights points at which exhaust system failures occur. In addition, the AC stresses the importance of having carbon monoxide detection equipment installed. 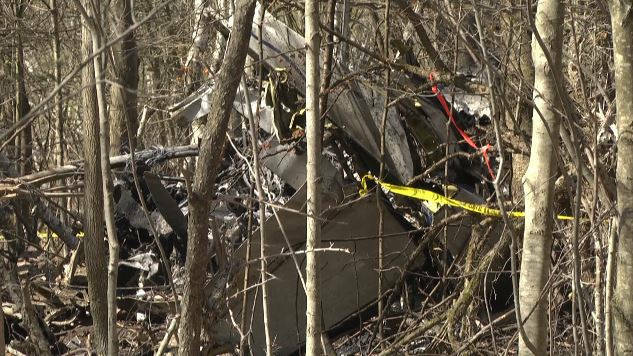 Due to the extensive postcrash fire damage to the airplane, the NTSB was unable to determine if the accident airplane was equipped with any type of carbon monoxide detection equipment. On September 10, 2016 about 1630 Alaska daylight time, a float-equipped, experimental amateur-built, Hefty Polar Cub airplane, N62905, was destroyed following a loss of control and subsequent impact with tree-covered terrain in a residential neighborhood in Anchorage, Alaska. The pilot was fatally injured, and a postcrash fire incinerated the airplane. The airplane was registered to, and operated by, the pilot as a visual flight rules (VFR) personal local flight under the provisions of 14 Code of Federal Regulations Part 91. Visual meteorological conditions prevailed, and no flight plan was filed. The flight reportedly originated in southwest Anchorage from Jewell Lake, about 1500, but the actual departure time and route of flight are unknown. According to a friend of the pilot, the purpose of the flight was to fly over a proposed hunting site near Willow, Alaska, and then return to Anchorage. The friend related that the pilot and a group of friends were planning a fly-in hunt later in the week. During on-scene interviews with the National Transportation Safety Board (NTSB) investigator-in-charge (IIC) on September 10, multiple witnesses consistently reported that they observed the accident airplane complete two, low level, high speed, 360-degree right turns over the lower hillside neighborhood. The witnesses said that the accident airplane's first 360-degree turn was accomplished at an altitude between 150 and 200 feet above ground level (agl), but the second pass was much lower. One homeowner stated that as the airplane passed over his home, it was about 50 feet above his roofline. The witnesses also reported that the accident airplane's bank angle increased significantly on the second 360-degree right turn. One pilot-rated witness that observed the airplane's steep turns estimated the bank angle in excess of 60 degrees during the second 360-degree turn. Multiple witnesses reported hearing the airplane's engine operating in a manner consistent with high power settings throughout both 360-degree right turns. Witnesses near the accident site reported that as the airplane completed the second, steep, 360-right turn, the nose of the airplane pitched down, and it began a rapid nose down descent. The engine rpm then increased significantly, and the wings rolled level just before impacting a stand of tall trees adjacent to a home. During the collision sequence the airplane's floats were severed, and the airplane subsequently descended onto a neighborhood road, coming to rest inverted. A postcrash fire ensued about 30 seconds after impact, which quickly engulfed the entire airplane. The closest official weather observation station is located at the Ted Stevens Anchorage International Airport. On September 10, 2016, at 1553, an Aviation Routine Weather Report (METAR) was reporting, in part: Wind 230 degrees at 4 knots; visibility 10 miles; ceiling and clouds, few at 2,500 feet; temperature 63 degrees F; dew point 43 degrees F; altimeter 30.14 inHg. U.S. Senators on Thursday turned on the airline industry as lawmakers discussed possible tougher oversight, including a passenger bill of rights, in the wake of mounting disquiet over customer service. Sen. Richard Blumenthal (D., Conn.) said he was pursuing a passenger bill that could include punitive damages on airlines for flight delays alongside an array of customer-service guarantees. “I take no pleasure in beating up on the airlines, but in this case it is warranted,” said Sen. Bill Nelson (D., Fla.) at a hearing convened by a subcommittee of the Senate Committee on Commerce, Science and Transportation, following the forcible removal of a passenger from a United Express flight last month. Sen. Nelson proceeded to give everything from carriers’ information technology systems to damaged airport wheelchairs a bashing. Many passengers “have become self-described detectives” using their cellphones to record bad customer service, he said. The hearing comes two days after airline executives, including Oscar Munoz, chief executive of United Continental Holdings Inc., faced intense questioning from members of the House Transportation and Infrastructure Committee on airlines’ treatment of fliers. Lawmakers warned carriers that they faced more regulations if they don’t improve customer service. On Thursday, the commissioner of the Chicago Department of Aviation, Ginger Evans, whose officers dragged a passenger from the United Express flight in April, told the hearing that the aviation officers are “not the designated law-enforcement authority” at the airports but split duties with the city’s police officers. On the day of the April 9 incident, which she described as “completely unacceptable,” city police arrived after airport officers and didn’t become involved, she said. The aviation department placed three officers and a supervisor on leave, pending a disciplinary hearing, and the city’s inspector general is reviewing the incident on a United Express flight at O’Hare International Airport. Meanwhile, Sara Nelson, international president of the Association of Flight Attendants-CWA, told lawmakers that frontline staff face tougher criticism from passengers following last month’s incident, making it harder to do their job. “Flight attendants are caught in the middle, and safety and security will suffer,” she said at the hearing, adding that flight attendants more frequently have to deal with escalating passenger situations. She said there are now fewer attendants assigned per plane and more passengers per flight, putting more strain on each attendant. Sally Greenberg, executive director of the National Consumers League, blamed lack of competition for deteriorating customer service. The power “has become dangerously imbalanced” due to massive consolidation in the U.S. industry. She said there are steps airline should take, such as ending involuntary bumping, providing simpler information to passengers and reviewing charges for some ancillary services and flight changes. She advocated a U.S. shift to European Union rules that richly compensate passengers for late, canceled and overbooked flights. But Sharon Pinkerton, senior vice president at trade group Airlines for America, defended the industry’s efforts to invest in customer service. “Airline competition is intense; it’s thriving,” she said. In the past month, United has apologized profusely, reached an undisclosed settlement with the passenger, Dr. David Dao, and announced a raft of new policies and training initiatives to ensure no repeats of the debacle. United’s settlement appears to absolve Chicago from liability. Other airlines, in the wake of that incident, also have announced some new policies aimed at minimizing overbooking on their planes, raising the compensation offered to passengers who voluntarily give up their seats and pledging not to remove passengers who have already boarded. Sen. Nelson said lawmakers would act in a bipartisan fashion to protect the flying public and is prepared to do so when it takes up the reauthorization bill for the Federal Aviation Administration, whose mandate expires at the end of September. Legislation to reauthorize the agency and its funding could be an opportunity to add language pertaining to consumers. On May 3, 2017, about 2030 eastern daylight time, a Piper PA-31, Canadian registration C-GQAM, impacted trees and terrain near Colton, New York. The Canadian commercial pilot was fatally injured, and the airplane was destroyed. The airplane was registered to and operated by Strait Air (2000) Ltd. as an air taxi flight under the provisions of Canadian Aviation Regulation 703. Visual meteorological conditions prevailed, and the flight was operated on a visual flight rules flight plan. The flight originated from Quebec/Jean Lesage International Airport (CYQB), Quebec, Quebec, Canada, at 1916, and was destined for Montreal Saint-Hubert Longueuil Airport (CYHU), Saint Hubert, Quebec, Canada. According to the operator, the flight's estimated duration was 1 hour, and the airplane departed with 720 pounds (120 gallons) of fuel on board. According to CYQB Terminal Control air traffic control data, at 1919, the pilot was cleared to fly direct to CYHU at 2,000 ft mean sea level (msl). The pilot acknowledged the clearance, and there were no further radio transmissions from the pilot. The airplane continued flying a straight course, at 2,100 ft msl, overflew CYHU, and impacted terrain about 100 miles beyond the destination airport. One witness heard the airplane flying over her house and reported that the engine sounded like it was "spitting and sputtering." The sound lasted for about 5 to 10 seconds and then stopped. Shortly thereafter, the witness heard "a loud bang." Another witness was inside his home when he heard a "low whining noise" that was followed by "a loud thud." A third witness reported that he heard the airplane flying low over his house and went outside to watch it. He watched the airplane head southwest at an "extremely low" altitude, and then he heard three "pops" coming from the airplane. A few seconds after that, the airplane banked to the left and began to "gradually lose altitude." The airplane continued in the descending left turn until he lost sight of it as it dropped below the horizon. According to Transport Canada records, the pilot held a commercial pilot certificate with ratings for airplane single-engine land, airplane multi-engine land, and instrument airplane. The pilot was issued a category 1 medical certificate on May 17, 2016. According to the operator, the pilot had about 5,250 total hours of flight experience and 1,187 hours in the accident airplane make and model. According to the pilot's family, he would typically fly from Quebec City to Montreal every weekday evening, stay in Montreal and sleep until about 0330, go back to the airport, and fly back to Quebec City in the morning. He would usually take a nap during the day before the next evening flight. According to Transport Canada records, the airplane was manufactured in 1979 and was registered to the operator in 2003. It was equipped with two 310-horsepower Lycoming TIO-540-A2C engines that drove two Hartzell constant-speed propellers. The airplane's most recent annual or 100-hour inspection was performed on October 31, 2016. Right and left fuel flow warning lights illuminated to warn the pilot of an impending fuel flow interruption. The lights were activated by a sensing probe mounted near each inboard fuel tank outlet. No audible warning was associated with the illumination of the lights. Section 4, "Normal Procedures" in the POH recommended that when the airplane is loaded to a rearward center of gravity, fuel from the outboard tanks be used first during cruise flight. The airplane was equipped with a KFC 200 autopilot. According to the pilot operating handbook (POH), when the autopilot was disengaged, the autopilot light on the annunciator panel would flash at least four times and then remain off to indicate that the autopilot was disengaged. Also, a 2-second audible warning tone would sound when the autopilot disconnected. According to the POH, the airplane was equipped with four flexible fuel cells, two in each wing. The outboard fuel cells had a capacity of 40 gallons each, and the inboard cells had a capacity of 56 gallons each, providing a total fuel capacity of 192 gallons, 187.3 gallons of which were usable. According to the POH, the inboard fuel tanks were to be used for taxi, takeoff, climb, and descent. The outboard tanks were only to be used in level flight while en route. According to the engine manufacturer's operating manual, using the most conservative fuel consumption in economy cruise, the airplane consumed about 13.5 gallons per hour of fuel per engine. Assuming that the en route phases of flight were performed on the outboard fuel tanks, with the engines' power at economy cruise, the airplane would have an estimated 2.9 hours of fuel endurance in the outboard tanks with the tanks full. Interpolation of performance charts revealed that, assuming the airplane typically flew at 2,000 ft msl en route, it would take about 3 minutes to climb and 3 minutes to descend, totaling 6 minutes, or 0.1 hour. On May 2, 2017, the airplane flight records indicated that the airplane departed from CYQB for CYHU with full fuel tanks, which was 1,123 lbs of fuel, and accumulated 0.9 hours of flight time. On the morning of May 3, 2017, the records indicated that the airplane flew from CYHU for CYQB with a total flight time of 1.0 hours. Finally, the airplane departed on the accident flight and accumulated about 1.25 hours of flight time. There was no evidence the airplane had been refueled between these flights. Figure 1. Estimated Outboard Tank Fuel Consumption. The 2053 recorded weather observation at Massena International Airport – Richards Field (MSS), Massena, New York, located about 24 nautical miles north of the accident location, included wind from 220° at 5 knots, visibility 10 miles, sky clear, temperature 7°C, dew point 1°C, and an altimeter setting of 30.10 inches of mercury. Examination of the accident site revealed damage to trees consistent with a 45° left bank and level pitch attitude at impact. The airplane impacted terrain about 1,200 ft msl, and a postimpact fire ensued. A ground scar was located about 40 ft past the initial tree strike and about 100 ft before the main wreckage. The initial impact crater was about 2 ft deep. All components of the airplane were located in the vicinity of the main wreckage, and the debris field was about 240 ft long on about a 300° heading. There were several branches located along the debris path with 45° cuts in the wood. Flight control continuity was confirmed from the cockpit to all the flight control surfaces. The cockpit and cabin were partially consumed by fire. Both wings were impact-separated, fragmented, and located along the debris path. The left wing tip light's lens cap was located in the initial impact crater, and the right wing tip light's lens cap was located in the vicinity of the first tree strike. All fuel tanks were breached, and the fuel selector valves were found in the outboard tank positions. The empennage remained attached to the fuselage and was partially consumed by fire. The vertical stabilizer and rudder remained attached to the empennage. The lower forward section of the vertical stabilizer was partially consumed by fire. The top approximate 2 ft of the rudder were impact-damaged. The left and right horizontal stabilizers and the left elevator were impact-damaged, and the outboard sections were separated and located along the debris path. The right elevator remained attached to the empennage and was impact-damaged and bent aft. The left engine was examined, and crankshaft continuity was confirmed. Holes were drilled into the engine case to allow for examination of the internal components of the engine, and there was no evidence of heat distress or mechanical disconnects. The No. 2 top and bottom and the No. 6 bottom spark plugs were not located. The No. 5 top spark plug exhibited corrosion. All other spark plugs exhibited "worn out-normal" wear when compared to the Champion Check-a-plug Chart. The cylinders were examined with a borescope, and carbon deposits were noted on the tops of the pistons. The turbocharger was impact-separated from the engine. No scoring was noted on the housing; however, the compressor blades were bent opposite the direction of rotation. Both magnetos would not rotate by hand due to thermal damage. No anomalies were noted with the left engine that would have precluded normal operation before the accident. The left propeller hub remained attached to the crankshaft flange. The three propeller blades of the left engine were impact-separated and located along the debris path. The blades were lettered A, B, and C, for descriptive purposes. Blade A was bent aft in a smooth arc, exhibited torsional twisting, leading edge gouging, and blade tip deformation and curling. Blade B was bent forward midspan, exhibited leading edge gouging, and torsional twisting. Blade C was bent and curled aft, exhibited trailing edge S-bending, torsional twisting, leading edge damage, and about 8 inches of the blade was torn from the tip. The right engine was examined, and the crankshaft would not rotate when trying to move the propeller by hand. Holes were drilled in the top section of the case, and a borescope was used to examine the internal components of the engine. Crankshaft continuity was confirmed, and there were no anomalies noted inside the engine. The spark plugs exhibited normal wear when compared to the Champion Check-a-plug Chart. The cylinders were examined with a borescope, and carbon deposits were noted on the tops of the pistons. The Nos. 1, 2, and 4 cylinders were impact-damaged. No evidence of foreign object ingestion or detonation was noted in the engine. The valves were intact. The left and right magnetos of the right engine were consumed by postimpact fire. The turbocharger compressor housing exhibited rotational scoring. The turbocharger exhaust clamps were all secure. The turbocharger waste gate was impact-separated, and the butterfly could be operated by hand. No anomalies were noted with the right engine that would have precluded normal operation before the accident. The right propeller remained attached to the crankshaft flange, and the blades remained attached to the propeller hub. They were lettered for descriptive purposes. All blades rotated in the hub socket. Blade A exhibited leading edge damage and was bent aft about 80°. Blade B exhibited trailing edge S-bending, torsional twisting, and leading edge damage. About 6 inches of the tip of blade B was separated and not located. Blade C was bent slightly, and no other damage was noted. The St. Lawrence County Coroner's Office, Canton, New York, performed the autopsy on the pilot. The autopsy report indicated that the pilot's cause of death was exsanguination (loss of a substantial proportion of blood). No significant natural disease was identified, but the examination was limited by the severity of damage to the body. The FAA's Bioaeronautical Sciences Research Laboratory, Oklahoma City, Oklahoma, performed toxicological testing of the pilot. Fluid and tissue specimens from the pilot tested negative for carbon monoxide and ethanol. The testing identified 1.9 ng/ml of tetrahydrocannabinol (THC) and 19.6 ng/ml of 11-carboxytetrahydrocannabinol (THC-COOH) in cavity blood. THC and THC-COOH were also identified in liver and lung. THC is the principal psychoactive constituent of marijuana. Marijuana is a psychoactive drug with therapeutic levels as low as 1 ng/ml. According to the National Highway Traffic Safety Administration's Drugs and Human Performance Fact Sheet on marijuana, "it is difficult to establish a relationship between a person's marijuana blood or plasma concentration and performance impairing effects. Concentrations of parent drug and metabolite are very dependent on pattern of use as well as dose. THC concentrations typically peak during the act of smoking, while peak [THC-COOH] concentrations occur approximately 9-23 minutes after the start of smoking. Concentrations of both analytes decline rapidly and are often < 5 ng/ml at 3 hours." According to the operator, the pilot's home base was CYQB. On Monday mornings, he drove from CYQB to CYHU, which was about a 2.5-hour drive. There was a crew rest area at the fixed based operator in CYQB, where the pilot would rest between the flights. On Friday evenings, the pilot drove from CYHU to CYQB and had the rest of the weekend off. On May 3, 2017, about 2030 eastern daylight time, a Piper PA-31, Canadian registration C-GQAM, impacted trees and terrain near Colton, New York. The Canadian commercial pilot, and sole occupant, was fatally injured. The airplane was destroyed. The airplane was registered to and operated by Strait Air (2000) Ltd. as a Canadian Aviation Regulation 703 air taxi flight. Visual meteorological conditions prevailed at the accident site and along the route of flight about the time of the accident, and the flight was operated on a visual flight rules flight plan. The flight originated from Quebec/Jean Lesage International Airport (CYQB), Quebec, Quebec, Canada, at 1916, and was destined for Montreal Saint-Hubert Longueuil Airport (CYHU), Saint Hubert, Quebec, Canada. According to the operator, the accident flight was supposed to be a 45-minute flight. According to CYQB Terminal Control air traffic control data, at 1919, the pilot was cleared to fly direct to CYHU at 2,000 ft mean sea level (msl). After that, there were no further radio transmissions from the airplane. The airplane continued flying a straight course, while at 2,100 ft msl, overflew CYHU, and impacted terrain about 100 miles beyond the destination airport. According to witnesses, they heard the airplane "sputter" and heard an "engine whining" prior to an explosion. One witness reported that he heard the airplane flying low over his house and went outside to watch it. He watched the airplane head southwest "extremely low," and then he heard three "pops" coming from the airplane. A few seconds after that, the airplane banked to the left and began to "gradually lose altitude." He did not see any type of course correction of the airplane prior to losing sight of it beyond the horizon. According to Transport Canada records, the pilot held a commercial pilot certificate with ratings for airplane single-engine land, multiengine land, and instrument airplane. The pilot was issued a category 1 medical certificate on May 17, 2016. According to the operator, the pilot had about 5,250 total hours of flight experience and 1,187 hours in the accident make and model. According to Transport Canada records, the airplane was manufactured in 1979 and was registered to the corporation in 2003. In addition, it was equipped with two Lycoming TIO-540-A2C, 310-horsepower engines that drove two Hartzell constant speed propellers. The airplane's most recent annual or 100-hour inspection was performed on October 31, 2016. The airplane entered the trees in about a left 45° bank angle, impacted several trees prior to impacting the ground, and then came to rest in a heavily wooded area. The airplane impacted terrain about 1,200 ft mean sea level and a postimpact fire ensued. There was a ground scar located about 40 feet past the initial tree strike and about 100 feet prior to the main wreckage. The initial impact crater was about 2 feet deep. All components of the airplane were located in the vicinity of the wreckage and the debris field was about 240 feet long on about a 300° heading. There were several branches located along the debris path with 45° cuts in the wood. Flight control continuity was confirmed from the cockpit to all the respective flight control surfaces. The cockpit and cabin were partially consumed by fire. Both wings were impact-separated, fragmented, and located along the debris path. The red wing tip light lens cap was located in the initial impact crater and the right wing tip lens cap was located in the vicinity of the first tree strike. The empennage remained attached to the fuselage and was partially consumed by fire. It was cut by recovery personnel. The vertical stabilizer and rudder remained attached to the empennage. The lower forward section of the vertical stabilizer was partially consumed by fire. The top approximate 2 feet of the rudder was impact-damaged. Both left and right horizontal stabilizers and left elevator were impact-damaged and the outboard sections were separated and located along the debris path. The right elevator remained attached to the empennage, was impact-damaged, and bent aft. The left engine was examined and crankshaft continuity was confirmed. Holes were drilled into the engine case and there was no evidence of heat distress or mechanical disconnects. The No. 2 top and bottom, and No. 6 bottom spark plugs were not located. The No. 5 top spark plug exhibited corrosion. All other spark plugs exhibited "worn out-normal" wear when compared to the Champion Check-a-plug Chart. The cylinders were examined with a borescope, and carbon deposits were noted on the tops of the pistons. The turbocharger was impact-separated from the engine and the compressor shroud was removed. No scoring was noted on the housing; however, the compressor blades were bent opposite the direction of rotation. Both magnetos would not rotate by hand as a result of thermal damage. The right engine was examined and the crankshaft would not rotate when trying to move the propeller by hand. Holes were drilled in the top section of the case, inline with the rotation plane of the connecting rods. A borescope was used to examine the internal section of the engine. Crankshaft continuity was confirmed and there were no anomalies noted inside the engine. The right engine spark plugs were removed and exhibited normal wear when compared to the Champion Check-a-plug Chart. The cylinders were examined with a borescope and carbon deposits were noted on the tops of the pistons. The Nos. 1, 2, and 4 cylinders were impact-damaged. No evidence of foreign object injestion or detonation was noted in the engine. The valves were intact. The left and right magneto of the right engine was consumed by postimpact fire. The turbocharger compressor housing exhibited rotational scoring. The turbocharger exhaust clamps were all secure. The turbocharger waste gate was impact-separated and the butterfly could be operated by hand. No anomalies were noted with the right engine that would have precluded normal operation prior to the accident. The right propeller remained attached to the crankshaft flange. The blades remained secure in the propeller hub. They were lettered for descriptive purposes. Blade A was free to rotated in the hub socket. It exhibited leading edge damage and was bent aft about 80°. Blade B rotated within the hub socket. The blade exhibited trailing edge S-bending, torsional twisting, and leading edge damage. About 6 inches of the tip of blade B was separated and not located. Blade C rotated within the hub socket. The blade was bent slightly and no other damage was noted. Two cabin heaters that were located in the wreckage were retained for further examination. Not a word, not a wind, you flew for your last trip without giving us time to say goodbye. An unknown place where you will welcome us one day. We know that you will await us under one of the sunsets you loved so much. We will turn our eyes to the sky, every time we see a plane or a sunset. You are now our star that shines to show us that you are happy. We will hear you through the songs of birds and will feel you through the wind. You will always be near us. Accidentally in Colton New York, on Wednesday, May 3, 2017, at the age of 35, passed away Mr. Éric Carrier, son of Mr. Réjean Carrier and Ms. Denise Boulanger. He lived at Saint-Gédéon. He is survived by his parents: Réjean (Denise Boulanger); His sister: Annie (Tony Lebel); His girlfriend of heart: Sindie Gilbert. He was the grandson of the late Armand Boulanger (late Emela Boutin) and the late Robert Carrier (late Candide Nadeau). He is also survived by several uncles, aunts, cousins, and friends. The religious service was celebrated on Monday, May 15 at 11 am in the church of Saint-Gédéon and from there to the parish cemetery under the direction of La maison Roy & Giguère Inc., 105, 1st Avenue Nord Saint-Gédéon. It is with all our love and a great sorrow that we say goodbye. Lord, you demand it, we give it to you, your heart filled with grief. Your sympathy can be expressed in a donation to the Fondation du coeur Beauce-Etchemin, 2640 Dionne Boulevard, Saint-Georges, G5Y 3X8. State police have released the name of the pilot who was killed in Wednesday night's plane crash in St. Lawrence County. He's identified as 35 year old Eric Carrier of St. Gedeon De Beauce, Quebec. Carrier was the only person on board the aircraft that crashed in the Colton area Wednesday night. In a statement Thursday morning, the Federal Aviation Administration said the Piper PA31 aircraft is registered in Canada. 7 News reporter Keith Benman talked to a neighbor who was first on the scene. The neighbor says the plane appeared to be carrying payroll checks. Daniel Watson told 7 News he knew right away it was a plane that went down in his backyard. "My son seen the fireball come up and it was pretty traumatic," he said. "It broke up. It came apart when it hit that tree. It was a mess. Packages all over the ground and the plane just unrecognizable on the ground." The plane took off from Quebec City Jean Lesage International Airport in Sainte-Foy, Quebec and was en route to Montreal/Sainte-Hubert Airport in Longueuil, Quebec. The FAA says it's investigating the crash, which was reported around 8:45 p.m. in a wooded area near 301 Windmill Road in the town of Colton. St. Lawrence County Coroner June Wood pronounced one person dead about a half hour later. "I responded to a small plane crash in the South Colton area and we have one victim that I pronounced dead here at 9:13 p.m," she said. Wood said authorities searched nearby woods in case there was a second victim. 7 News was told the plane was heading north and caught fire after it hit the ground. State police are leading local authorities in the investigation. Rotorcraft force landed in a field. Aircraft landed with nose gear extended only. 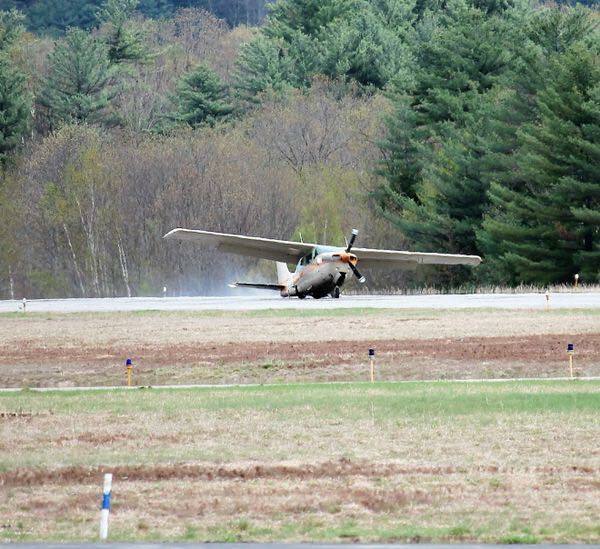 CLAREMONT — A pilot in a Cessna 210 landed safely without any injuries on Wednesday afternoon at the airport in Claremont after having issues with his landing gear. Roger Hamel, one of the managers of the Claremont Municipal Airport, was at the landing on Wednesday, May 3. Hamel said Wednesday’s incident at the Claremont airport was a “very good” landing. Hamel said the pilot, who he is familiar with but could not name, lives in Lebanon and is experienced. The pilot shut off all power to the plane before he landed, Hamel said. Several Claremont Police officers, three Claremont Fire Department units, a Claremont Utility truck and Golden Cross Ambulance answered a call for assistance to the airport at approximately 2 p.m.
Claremont Fire Chief Richard Bergeron said in a press release that the plane was based in Lebanon, and was on a return flight from Nashua when the pilot, John Wilson, reported that he was unable to lower the plane’s landing gear. 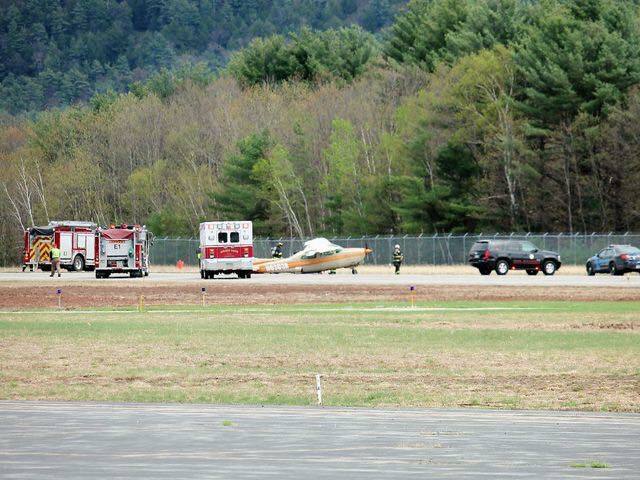 Firefighters and emergency personnel waited, fully suited up, as the small plane circled the airport and touched down on the runway, without catching fire, though it appeared slightly tilted as it came to a stop. 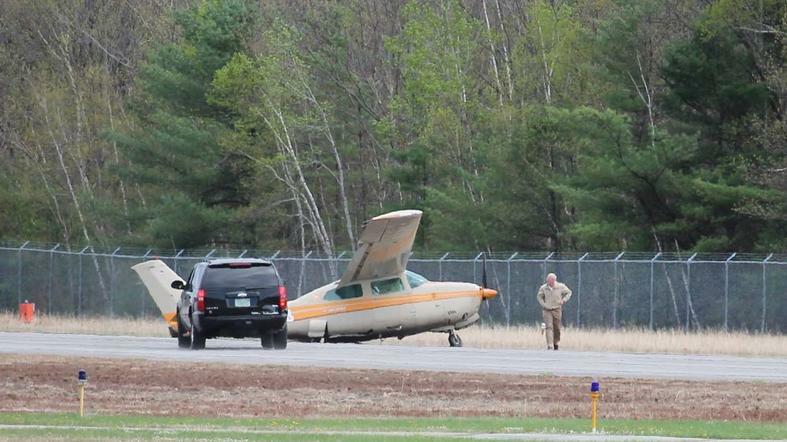 Bergeron said that after trying to resolve the issue in the air, the pilot attempted the landing with only the nose landing gear extended. A small gasoline leak was controlled and cleaned up by firefighters. Airport personnel will tow the plane with a dolly, and it will be repaired on site in Claremont, Hamel said. Hamel said it has been six or seven years since a plane has landed in Claremont with landing gear trouble, and that pilot had one wheel up. About 10 years ago, landing gear on an incoming airplane had fully collapsed at the end of the runway, he said. 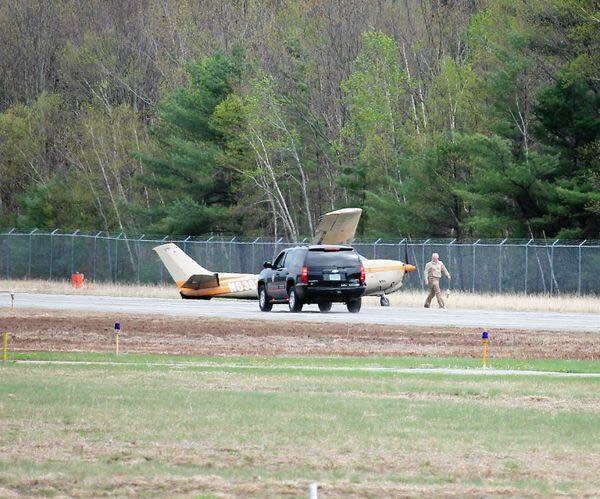 The NH Bureau of Aeronautics was notified, along with the Federal Aviation Administration (FAA) and the National Transportation Safety Board (NTSB). 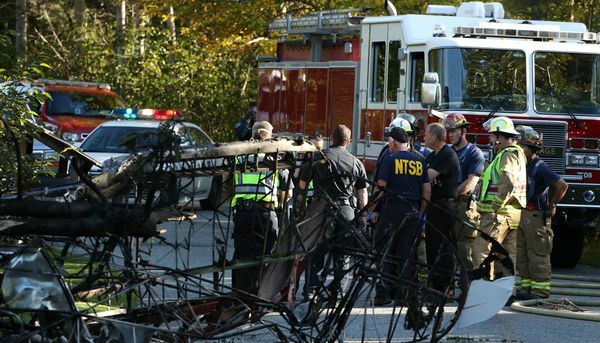 Federal and state authorities are set to examine the plane Thursday.